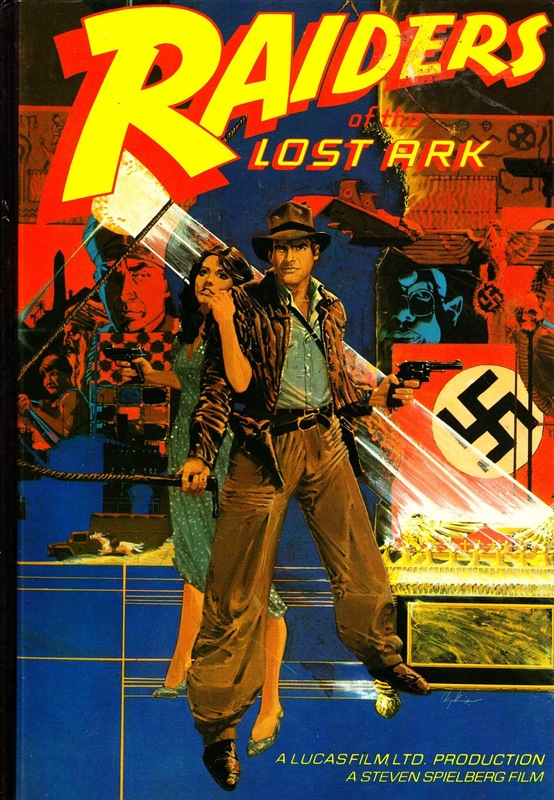 In a Indy mood after watching Crystal Skull on TV the other night -classic cover by Howard Chaykin -Have Marvel bought rights to Indy? I'd like to read more further adventures -his experiences in WW2 remain a mystery would be fertile ground for writers and artists to explore. 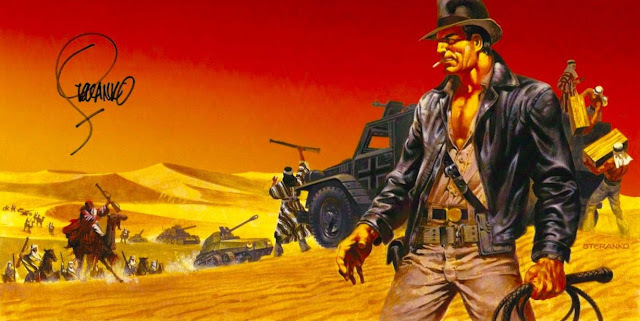 So cool the look of Indy dreamt up by another comics living legend Jim Sterenko -note ciggy -a nod to Bogart - not sure Indy smokes -no time. The first time I saw Indiana was on a kids show The Saturday Show I think it was called in the Tiswas slot a very violent scene for a kids show they wouldn't dream of putting this clip on a kids channel these days -They also showed clips from the Blues Brothers the very early 80's had it's moments. Indy V? -Really should be lol been finding tonnes of Youtube poop based on Indy and Star Wars nice to know there are total nutters out there (but in a good way)makes me laugh as I'm kinda immature .Non poop but very good - would like to see an animated Indy show like Rebels or Clone Wars even got Denholm Eliots grin righ here Watched the Young Indy Chronicles when they were on TV -I bought the first boxset rather excellent as they also contained documentaries about the historical figures Indy met along the way-so very good if you have an interest in 20th century history -I'll have to place an order for the other boxsets only got as far as Mexico 1916 course Indy will survive after Indy 5 except he'll lose an eye somehow -the original show featured a Indiana in his 90's but these were edited out of the boxset for some reason.- and then there was the Harrison Ford guest episode"The Mystery of the Blues"